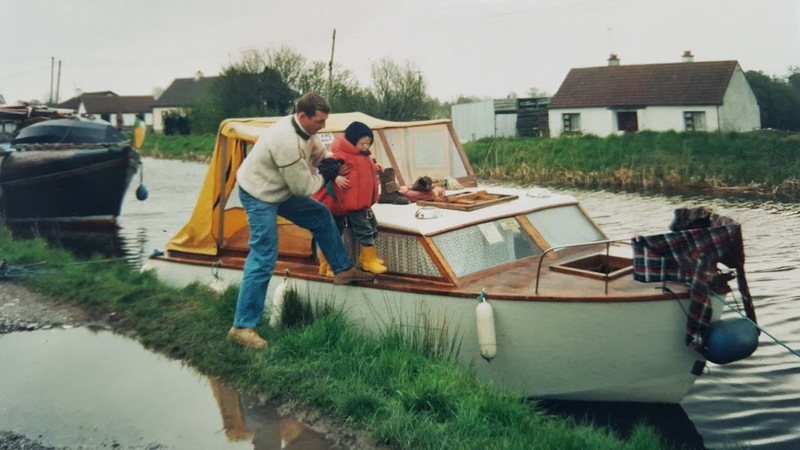 The first boat we ever owned was a 17Ft plywood day boat, we went for a 2 week holiday on it. It came with a trailer, but the trailer came without suspension or brakes. We bought it in February 1993 and went for a weekend straight away. It was only 17Ft long and there wasn’t any room in it, it had a sea toilet inconveniently it was under the only bed. There was no cooker or sink. I think the designer got his priorities all wrong, I would have ditched the loo in favour of a two ring hob. At least I could make a mug of tea. We did install a hob, well install is an exaggeration, it’s more correct to say that we brought a camping stove with us. 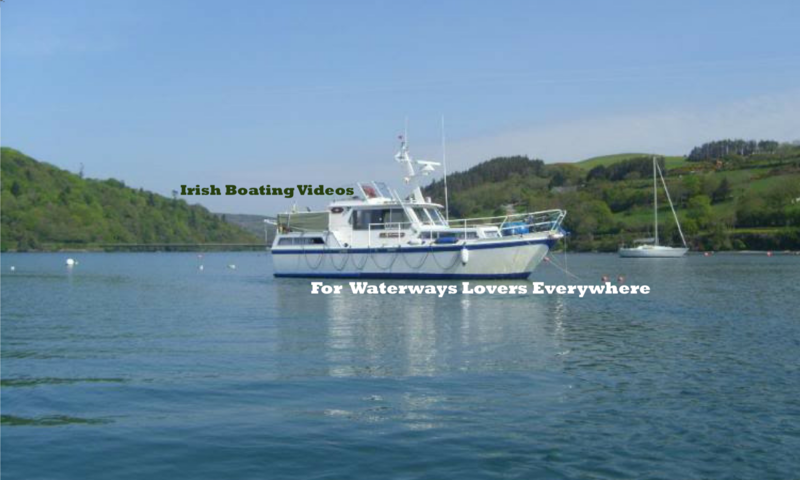 We headed to Edenderry for our first family weekend on our boat, in mid February! On the Sunday morning a man approached the boat. “This must be your first time going boating?” Well you know that you’re clearly doing something very wrong when someone opens a conversation like that. “Why I asked?”. “Cos no one in their right mind goes boating in the winter”. In the summer we headed off on a two week holiday. 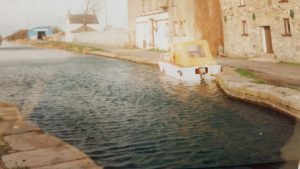 We planned to head from Kildare along the Grand canal to the river Shannon. Honestly I tell you that it rained every day. The engine broke down and there wasn’t enough room for us all to sleep in the one triangular bed. So I ended up sleeping on the floor half under the bed and half out the door. It wasn’t a holiday, it was an endurance test. We lasted ten days and then Marion made me promise to sell it. 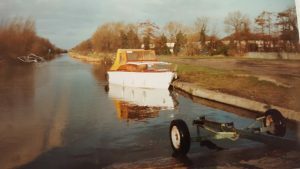 Later that year we sold it and invested in a sunk boat called Trindle!